Welcome to our Painting Guide pages. Here you will find a huge amount of inspirational and really, really cool miniatures and armies that are available on the market which have been painted using our paints. 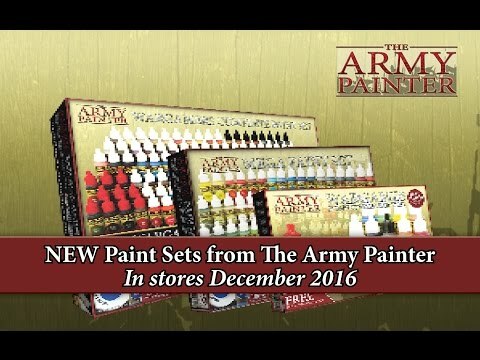 Our paints can be used to paint not only these miniatures, but all other miniatures available on the market. There are many different gaming systems included, and our search system allows you to quickly get an overview of which miniatures we have galleries of and which products we used to paint them. The galleries are all step-by-step guides on how to easy and quickly achieve the results presented - and thus get on with the Gaming! We will regularly add new guides to these pages, so if you will be sure not to miss any, just sign up to our newsletter. Next to each Painting Guide you will see a little coloured round dot (or several) plus an encircled letter. These describe what products have been used in the specific guide.